1. I monitor this blog regularily. Please feel free to leave a comment or question on any post and I will respond. 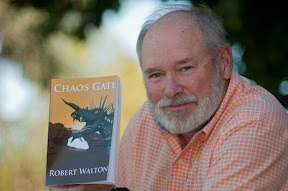 Thank you again for the opportunity to read both Chaos Gate and a sampling of your poetry. Your writing style is refreshingly clear, and the lively characters engage the reader’s empathy. Unlike the bulk of children’s and teen’s fiction published today, your story contains serious and thought-provoking themes. The parallel universe element of Chaos Gate should appeal to readers who enjoyed Philip Pullman’s His Dark Materials series. Your efforts to increase not just literacy but also the love of reading are truly commendable, and greatly needed in a society that is so reliant upon mind-stultifying technological communication. Hi Mr. Walton, this is Larry Burchard from your 5th grade class back in 1978, glad to see you are still writing. I remember when you got your first book published and read it to the class. I had just been surfing around on the net about King City stuff when I found some info. about authors in the area, and saw your name, so I decided to drop a line. I have not visited King City since moving away in 1981 to Fallon Nevada, where I continue to reside, becoming a grandfather 4 months ago. I don’t remember the title of that first book, but do remember that the whole class enjoyed your story. I will have to pick up a copy of your latest. Thanks for being a teacher that left an impression on a young mind. Larry Burchard. While one never likes to lose, there’s a degree of solace in losing to a story as fine as, ‘Like a Thorny Child.’ Congratulations on your win. I suspect you are more than deserving. 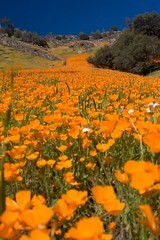 I lived in King City when I was really young, and I have a vague memory of being three and going to Mr. Walden’s home. He inscribed a copy of Joel in Tananar to our family and we took it home with us. When I was 8 I picked it up and began to read. This was the first ‘novel’ I ever read and it spurned a tremendous love of reading as well as an enriched imagination. Over time, our family lost the copy we had, and I’m having trouble tracking one down. Does anyone know where I could get a copy of Joel in Tananar? I’d love to read it to my children when they get a little older. I greatly enjoyed Steam Whistle. We are thinking of you and Phyllis and looking forward to your next adventure on this side of the Atlantic. Read MAN WHO MURDERED MOZART again (after a four-year hiatus) and found its fertility and energy heartening; it could have used another draft but that could be said of my life. Its very raggedness is central to its power. Is a pity we stopped; is a pity we have not stayed in touch and done more.